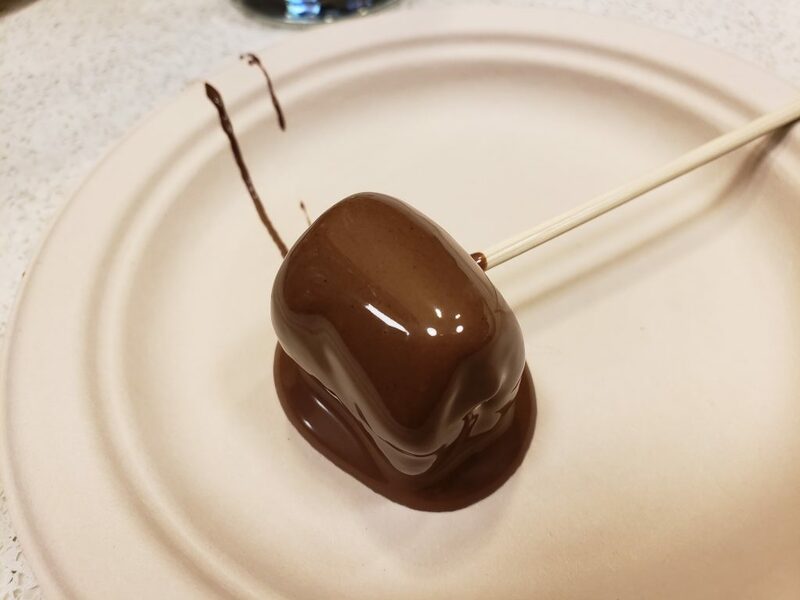 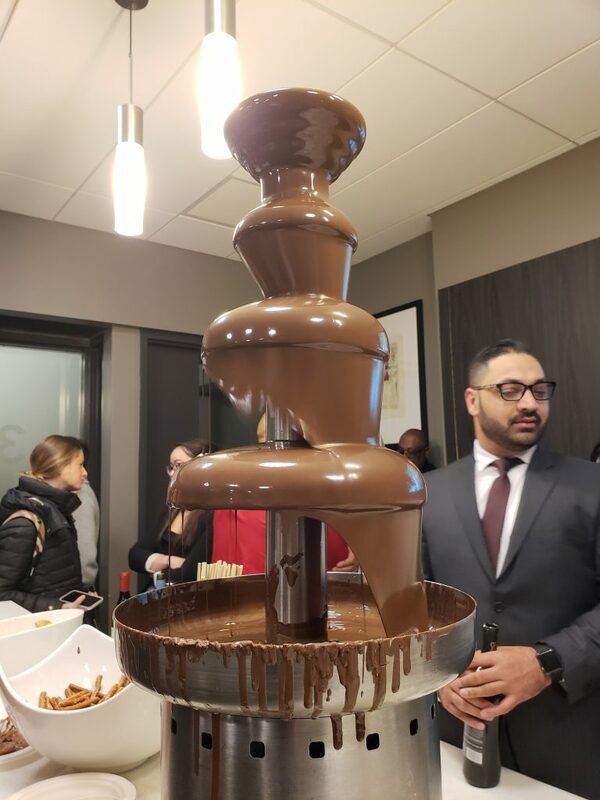 After volunteering tonight at the soup kitchen near my house, I came back to my building to join the festive chocolate fondue party in our club room. 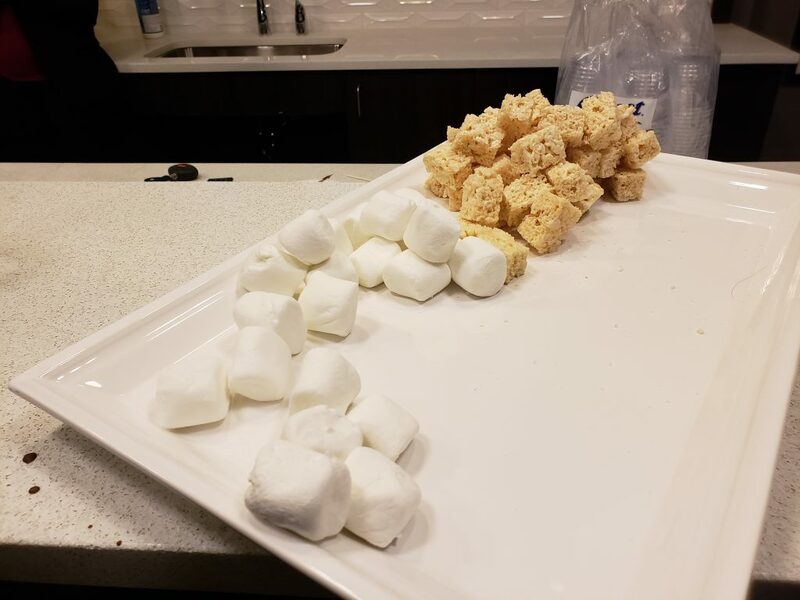 The strawberries were all gone, but there was still plenty of goodies to dip in the chocolate fountain–apples, bananas, rice krispie treats, pretzels, and marshmallows. 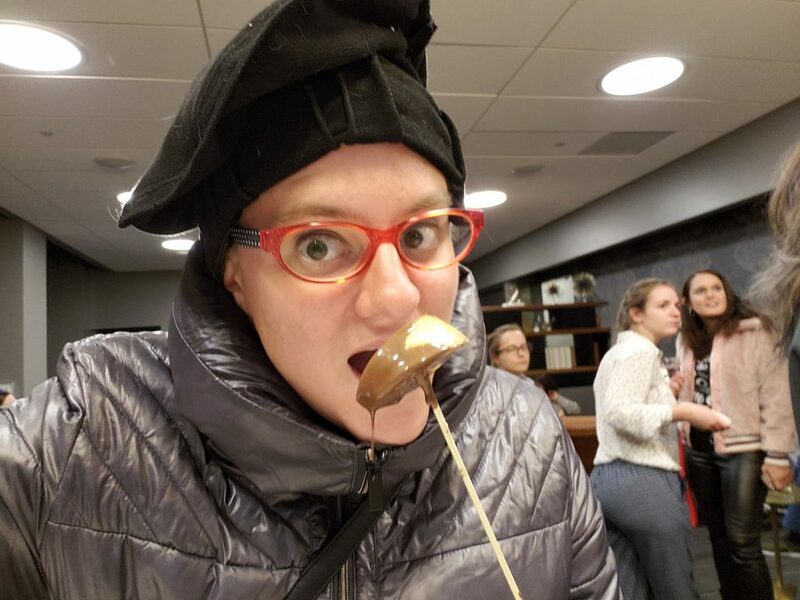 I did my community duty and got dipping–a joy to see my neighbors coming together to bond through the creative fun of chocolate fondue!